The statistics are daunting. Nearly 3 in 10 adults over the age of 70 will fall every year! In fact, falls in the elderly are even more common than strokes! Falls cause head injuries, broken hips and long term problems with daily activities like dressing, bathing and mobility. 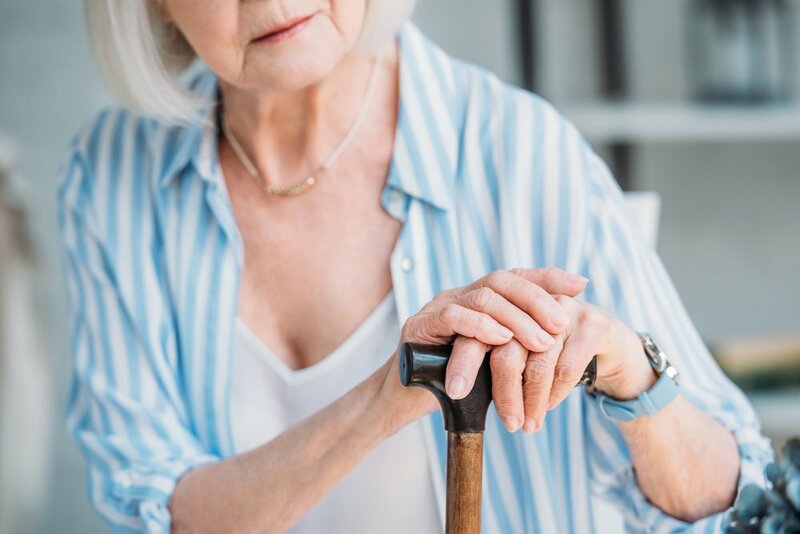 Worst of all, falls in the elderly can cause a break in one's confidence, leading to social isolation, decreased physical activity, institutionalization and a snowball effect of health decline. If you've had a fall recently, or know someone who has, chances are you're scared. You're worried it's going to happen again. You're afraid it's going to be worse the next time. You're fearful of being left alone. Certain activities like showering, getting out of bed, or going up and down the stairs are scaring the bejesus out of you. All normal. All valid. To make the above a little more specific, according to the New England Journal of Medicine, some of the more common risk factors for falls are postural hypotension, use of sedatives, use of 4 or more medications, reduced leg or arm strength, reduced leg or arm range of motion, reduced balance, difficulty transferring from bed to chair or using the toilet, shower or bathtub. What we also know is that the more health issues you have, the higher the likelihood you'll fall. For example, if you have no health issues, you have a 10% chance of falling. One health issue, you have a 20% chance of falling. Four or more health issues you have a 40% chance of falling! The best news of all however, is that the same New England Journal of Medicine study showed that if you decrease the number of health issues you're dealing with, you can dramatically reduce the risk of falling. Because so many of the risks of falling in the elderly are known and preventable, the task is actually pretty achievable. Strengthen your bones. Falls cause over 90% of broken hips. As we age, our bones get more brittle, increasing the risk of fracture. Whether you have osteoporosis, osteoarthritis or Paget's disease, increase your intake of calcium, vitamin D and vitamin K. You can find the minerals and vitamins in supplements or foods like fortified milk, leafy greens, broccoli, brussel sprouts and kale. Exercise will also help maintain and improve bone density, regardless of age. Get help fast. 5 in 10 seniors who fall have difficulty getting up and need assistance. Older adults who get medical attention within the first hour of a fall have a 90% chance of returning home, avoiding a hospital stay. The bottom line is, the sooner help is found the better the chance of survival. The best way to get help fast is to either have 24X7 caregiver supervision or get one of the many newer medical alert systems with a help button, automatic fall detection and GPS tracking. You're not alone. Falls in the elderly are very common, as we've shown above. The worst thing you can do is ignore the risks of falling, dooming yourself to another tumble, or let the fear paralyze you into social and physical isolation. You can beat this if you're up to the task. Learn the risks of falling, get a health audit to assess your individual risks of falling, address the results of the audit and make improvements to your health, fitness, medication regimen and home environment.